Length: 235 mm (9.252 in); Width: 60 mm (2.362 in); Step: 5,8 mm (0.228 in), quantity of needles: 445. "Partner" has the same properties as other big and small applicators. 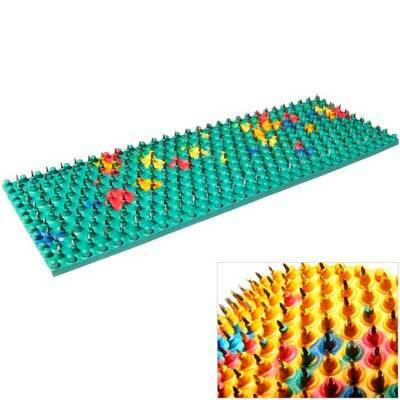 It can be used as an acupuncture mat to stimulate the zones of the neck, upper, and lower back. It can also be worn on the most painful zones. For colds the applicator can be used instead of a mustard plaster.